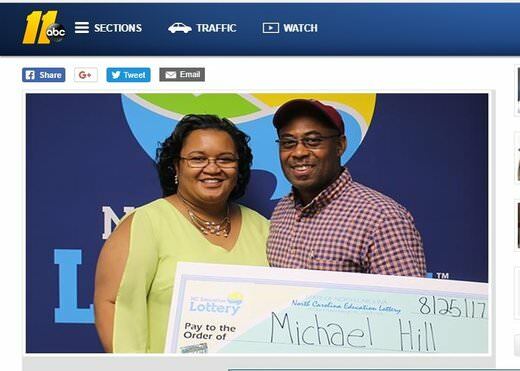 Persistence gave a North Carolina man a win most lottery players dream of. Michael Hill had bought a lottery ticket at the store and immediately scratched it. It was a dud. Knowing one top prize remained in play for the Ultimate Millions lotto game, he bought another ticket and took it to his car. He scratched the ticket inside the vehicle and was surprised to find that he had won the one remaining top prize of $10 million. He called his wife and told her to pack up her bags as they had won the lottery. Net of state and federal taxes, he still took home a hefty sum of $4,159,101. He knows his life is changed for the better. He says the money will pay off bills and a portion will be invested in his wife’s business. He knows there’ll be plenty left over to enjoy.